When relocating to Spain with kids be prepared 100% for the unexpected, the surprising, and – a lot of fun. It is more than natural to have worries and doubts before the big step. But you can be absolutely sure: Spain is one of the most kids friendly countries in the world and Spaniards love children, their own and everyone else’s alike. Depending on your kid’s age the transition can go differently, and the younger the child the easier it will be. Compare your options for the relocation considering the time of the year, school holidays both at home and in Spain, and your child’s personal situation as well as your own convenience. Balancing all that can be tricky, but try to find dates and flight connections that suit your family best. Finding a perfect apartment in Spain can take a really long time, and especially if your decision depends on a school location. Education in Spain is quite flexible, and there are 3 types of schools: public, private and semi-private ones. Public and semi-private schools are found all over the cities, so you will have some choice, but private schools are usually located outside in quiet residential neighbourhoods and villages. Renting an apartment for the first 2-3 months is your best bet not to make an unsuitable housing commitment for the long run. In Spain children between 3 and 18 attend school. In some regions there are not many international and private schools, so be prepared to make a thorough research about your options. The enrollment rules also differ from school to school, some will require a Spanish address to ensure the place while some will not. In public schools the enrollment is based upon the points system evaluating your housing and parent’s workplace proximity to the school, sibling studying at the same school, child’s health condition and family income. Pre-inscription process for the following school year usually starts in February, however, in may vary in certain regions. People in Spain speak Spanish and usually very little English. In public and semi-private school education is held in Spanish and/or regional language, such as Catalan in Catalonia. Make yourself and your children a favour by learning some language basics prior to your arrival. 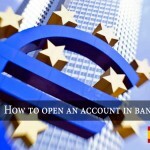 Not only it will make your family life but also the integration a lot easier. Learning Spanish will open many doors and you will embark, together with you kids, on an exciting journey of discovering Spanish history, traditions and the local way of life. As we have mentioned before, Spain is a great place to be if you have children. The climate shapes the whole outdoor parenting culture, meaning that most of the family activities, kids parties and sports are held on the beach, in parks, forests and playgrounds. It also influences parents’ attitude towards raising children. Living in Spain with kids often makes expat parents admit to have become more relaxed about letting kids go alone to a nearby grocery store or allowing to participate in fireworks at the local summer fests. In general, there is a lot of freedom about living and parenting in Spain thanks to its safety and friendliness of people. In Spain, to the big surprise of the newcomers, it is completely normal to bring kids along to house parties, bars and restaurants even late at night. The little ones might be sleeping in their strollers or playing with each other while parents spend time with friends and family. 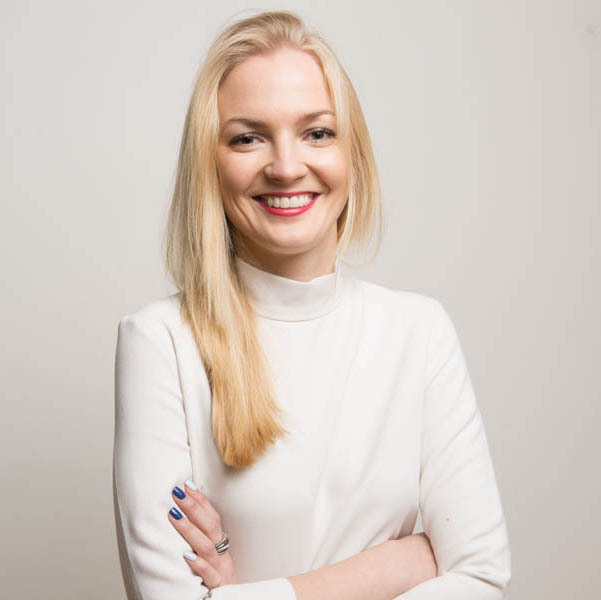 Therefore, you do not have to worry about not being able to build or maintain social connections. Socialising in Spain is one of the most important cultural aspects for adults and kids alike. 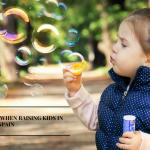 While most of the communication both between parents and between kids happens in real life on playgrounds, in nurseries and at school, there are also many expat communities in Spain starting Facebook groups and forums for parents to connect. Many expat parents find it equally important for their children to make local Spanish friends as well as to have expat buddies who understand what they are going through culturally and emotionally, especially during teenage years. There are numerous activities, sport groups and culture clubs for English-speaking kids in big cities like Barcelona and Madrid, even though it gets more difficult to find such offers in other areas of Spain. What was your experience with relocation abroad? 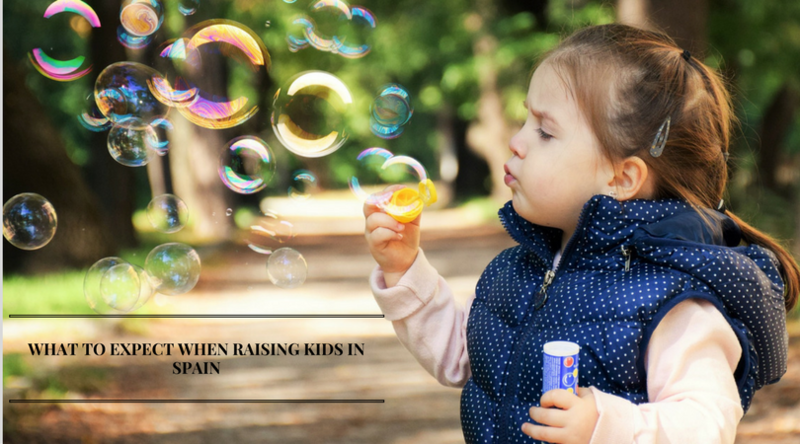 What would be the 1 most useful piece of advice you could give to expat parents on living in Spain with kids? At BLL Concierge and Relocation we help international families with moving to Spain with kids, as well as successfully integrating and forming a social circle. Contact us for more information on relocation to Barcelona and to Spain.